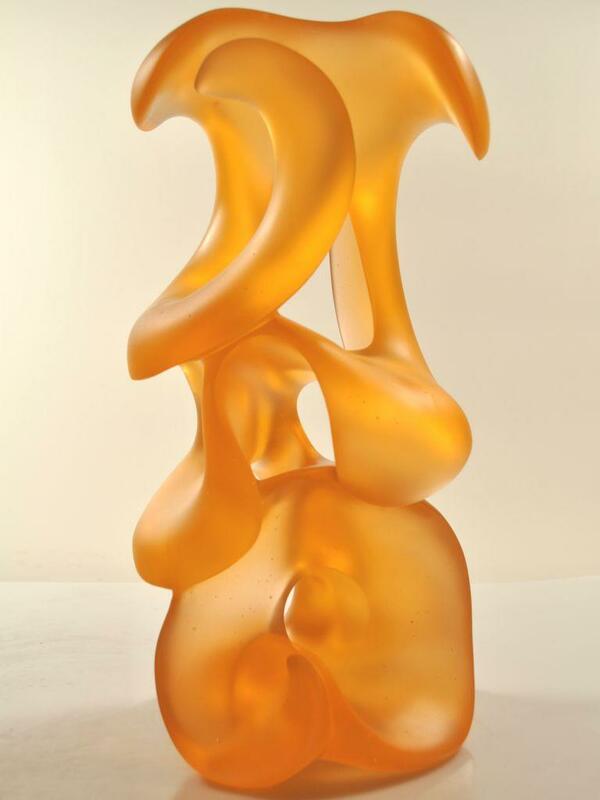 Pollitt Studio | Orangesicle-inspired glass sculpture. Yum! Were there Orangesicles in your childhood? 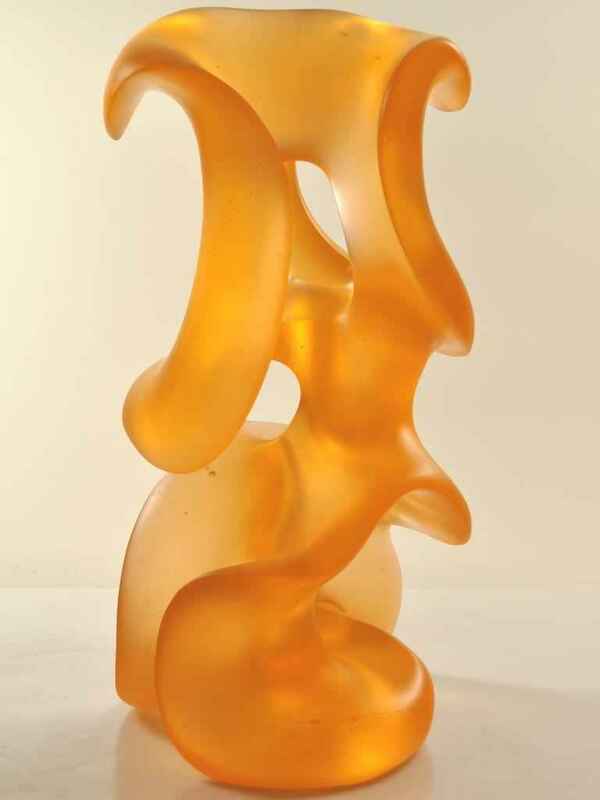 Well, Cascade is an orangesicle-inspired glass sculpture. Envision along with me what I was trying to capture here — the feeling of orange ice warming in the Summer sun and slumping – or, well, cascading down. This form may have been easier had I actually used hot glass, but I don’t do that! It was really tough to envision, let alone execute, the area where one part wraps down and around the part below. It was a wild ride because the line behind the rap or curl has to be visually unbroken. Your eye must be able to imagine it passing behind (even if it actually doesn’t). Details, details.